Computers with Microsoft Word installed. Most participants had a basic understanding of Microsoft Word, but were unaware of many of the program’s features beyond changing the font of their document. Our program focused on showing them the basics of Microsoft Word and introducing them to features that might help with homework assignments. Our methodology was to go step-by-step over the most useful options on each tab in the Microsoft ribbon. We began with the first tab, the Home tab. 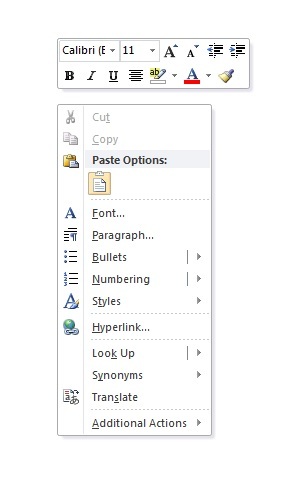 On it, we highlighted Copy and Past, the various means to change your font and style, and paragraph formatting. Next came the Insert tab. Here we focused on inserting tables, pictures, and clip art. After showing how those worked, we demonstrated what hyperlinking is, and how to insert page numbers, and page headers/footers. Be sure, too, to show how to insert symbols. Lastly, we experimented with WordArt, a class favorite. In the Page Layout tab, we demonstrated how margins worked, and what inserting watermarks did. The Page Color and Page Borders options in this tab were very popular. We did not show the next two tabs (References, Mailings), and moved on to the Review tab. Here, we showed Spell Check and the Thesaurus. Some fun was had by looking at the translate option, as well as word count. After the Review tab, we had participants click on a photo they inserted into the document, which then revealed the Drawing Tools menu, with the Format tab. Here, we showed how to insert shapes, change border colors, and change WordArt styles. Lastly, we showed them the menu that appears if you right click in Microsoft Word, highlighting how it consists of heavily used options found in various tabs in the Ribbon. Microsoft Office has several online tutorials to help you discover more about Microsoft Word. Although we offered this for grades 4th and up, we can see this being taught to a younger group, in grades 1-3. For a younger group, we would suggest shortening the time to 45 minutes, and eliminating some of the more complicated features in Microsoft Word.